Meet Sophia! 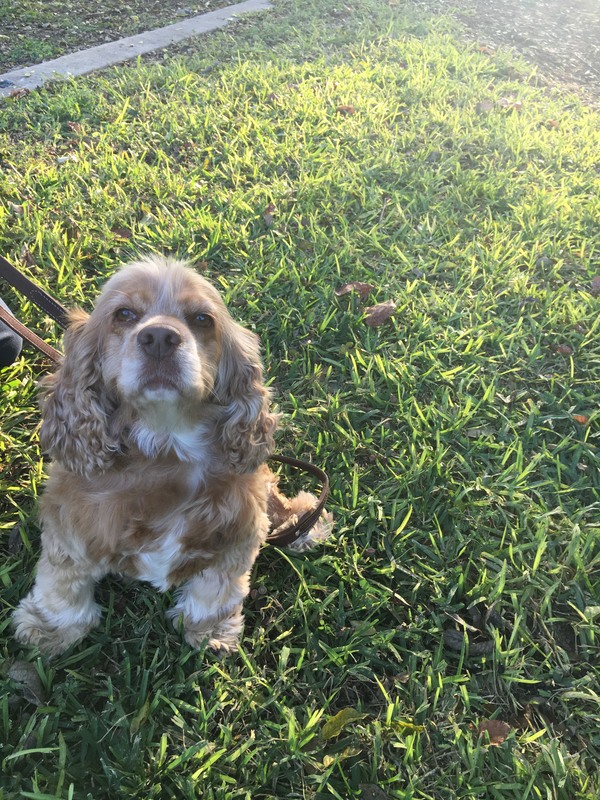 She is an adorable four year old Cocker Spaniel who was adopted from the Humane Society of New Braunfels by her forever mom and dad about a year and a half ago! After being home with her for a few weeks they noticed she was having issues with urinating in the house. After coming to see the doctor and performing a urinalysis – it was determined that it was not a medical issue but a behavior issue. They decided to go through a training course with a professional. After weeks of dedication and practice – she finally gained her confidence and stopped having accidents in the house! She recently came to see us to get her teeth cleaned and is doing great! We love seeing her cute face and gorgeous gold eyes! Shadow is the most adorable puppy! She has been coming to us for her routine wellness checks ever since her parents adopted her! 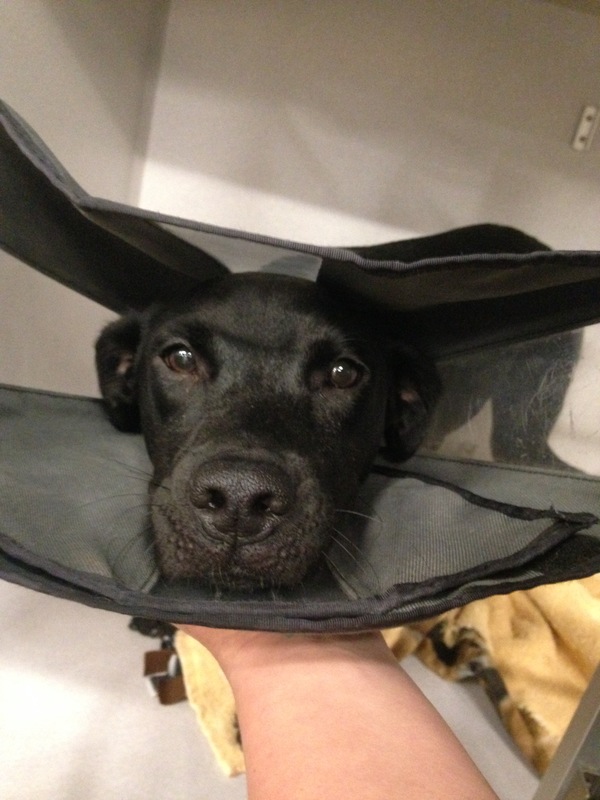 She is a healthy and happy puppy but was faced with an unfortunate accident! Shadow was out for a walk with her family at night and was hit by a car. Rather than running back up to her parents she was scared and ran and hid outside overnight. Her family was very concerned and looked everywhere but were unsuccessful. Thankfully the next morning she made it back home! Her family immediately brought her to the clinic for a check up! She had a thorough exam and radiographs were taken to see if there was any internal damage. It was determined that she had a fractured hip and with careful consideration by her parents and doctor it was decided that a FHNO (hip surgery) was best. This procedure removes the femoral head and neck, relieving any pain from the fracture. She is now back home and doing great with her physical therapy and will be back to running around and being a wild puppy again soon! September Pets of the Month!